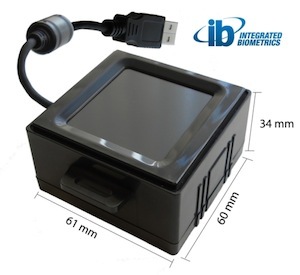 South Carolina-based Integrated BiometricsLLC has released Sherlock, a light, thin, small mobile ID fingerprint sensor that also has FBI Appendix F certification. The sensor is made with Integrated’s patented Light Emitting Sensor (LES) technology that’s been incorporated with a thin film transistor. The LES technology functions due to a highly engineered charged polymer film that interacts with the skin’s properties to capture prints. 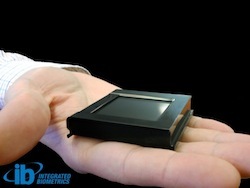 This combination of technology results in a smaller, lighter scanner. The image capture happens at the FBI’s standard 500PPI requirement, and the system complies with both Appendix F and PIV071006 standards.